Tom Melbourne has given jockey Blake Shinn his second win on his first day back from injury. One of the longest and most notorious droughts in Australian racing has been broken in spectacular fashion, with Tom Melbourne claiming his first win in almost three years. Saturday’s Randwick crowd was not as big as the ones that greet his stablemate Winx but those who were on hand did their best to cheer Tom Melbourne home in the Listed Carrington Stakes (1400m) with as much enthusiasm. His jockey Blake Shinn could not stop smiling after Tom Melbourne gave him a second win on his first day back from a serious neck injury suffered in a barrier trial fall in August. Trainer Chris Waller, who is in New Zealand for the Karaka race day and sales, was quick to get on Twitter. “#RoyalAscot or @allstarmile … I’ll decide tomorrow. Regards Tom” he said. With 10 of the 14 horse-field for the $5 million All Star Mile at Flemington on March 16 decided by popular vote, Tom Melbourne’s win has done his chances no harm. Backed from $6.50 to $5, he settled midfield and came with a determined run on the outside to hit the line 2-1/2 lengths ahead of Flow ($4.20), with the Waller-trained Tangled ($26) another long head third. “To be able to come back and ride at 55-1/2 kilos and to win on Tom and break his three-year drought is just amazing,” Shinn said. “It’s a great thrill and great satisfaction. “He was in a great frame of mind. He was calm and relaxed going to the barriers. Since he won the Albury Cup in March 2016, Tom Melbourne has racked up 13 placings, three at Group One level. Shinn had ridden him three times previously for three seconds, two at stakes level. 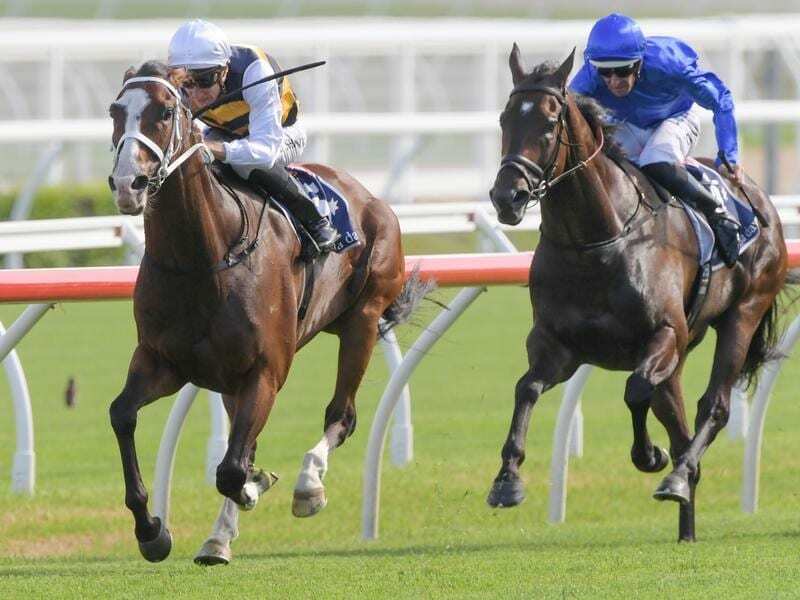 Race favourite Endless Drama ($3.70), a stablemate of Tom Melbourne, finished strongly for fifth after missing the start by several lengths while another stablemate, Religify, suffered a leg injury in the race and was nursed to the line by Jay Ford. Shinn’s other winner on the day was the Gai Waterhouse and Adrian Bott-trained two-year-old Dawn Passage.